The loaning of digital devices by public libraries has the potential to help tackle social and digital exclusion and improve digital literacy. For example, a recent study by the Tinder Foundation showed that people undertaking weekly digital skills training who did not have their own devices made better progress if they were able to borrow such devices and practice at home between sessions. 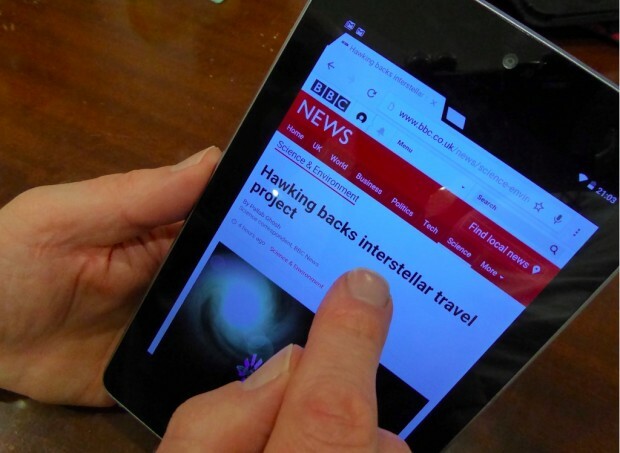 The Libraries Taskforce are exploring how libraries could most effectively loan a variety of digital devices, by bringing together those who are actively loaning, or exploring loaning these devices. This process identified a number of common themes. Firstly, tablets were the commonest devices being loaned - in fact no-one was lending laptops as there was no demand. A range of different tablets were being used, but the commonest were Ipads as these were perceived as being more intuitive to use. Some authorities were lending Kobo e-readers preloaded with free classics, but the general consensus was tablets could do this equally as well and also offered wider functionality. Secondly, the devices were generally “unsupported”, ie. were not integrated with the authorities’ LMS/IT systems and generally lay outside of any service or maintenance agreements, mainly due to risk adverse corporate IT policies. Thirdly, the devices were not on general loan but rather were targeted towards specific client groups (eg. housebound customers or reading groups). In part, this often reflected the fact the tablets were purchased with targeted funding. The process also identified some key challenges/barriers to lending digital devices. Firstly, as mentioned above, the risk adverse approach of most corporate IT departments limits the utility of the devices and means they are “unsupported”. Interestingly, one authority has demonstrated that getting users to physically sign an agreement is more effective than deposits and/or fines in preventing damage or theft and are less discouraging for non-digital users. Other authorities are now adopting this approach. A second, related, challenge was that, as the majority of devices were not “supported”, they were not automatically being cleansed of personal data between users. Some authorities were handling this through advice in their terms and conditions and others by manually resetting between customers, but neither approach was viewed as satisfactory or practical on a large scale. There are commercial solutions available but these are relatively expensive. Another challenge identified was how to support the users of these devices who generally lack any digital skills. Most involved some initial ‘training’ but a few offered helpsheets and/or links to further support. The final challenges were all inter-related: all participants indicated it was hard to find out what other authorities were doing as the work was rarely published or presented and thus everyone was reinventing the wheel each time. This was a particular challenge around evidence of impact and/or business cases. Few participants had done rigorous evaluation of their own projects, although those who had tended to use the Tinder Foundation’s Capture It package, and only West Sussex, with their Understand Me: the Communication Library service, had a detailed business case they could share. The participants felt the good practice identified had addressed some of these challenges but there was a need to share the insights gained further. This blog is a step towards doing that. The next steps for the Taskforce will be to build on this work and develop guidance, as well as try and address some of the cultural challenges through advocacy.